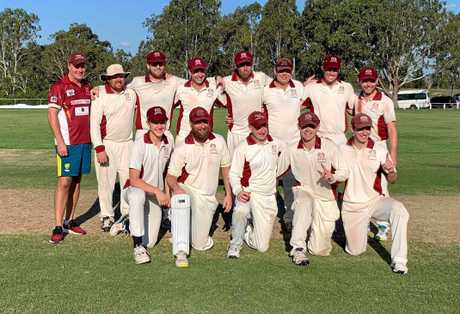 THE "young and vibrant" Centrals side, with a work ethic to match, is celebrating being Ipswich's cricket champions for the second time in three seasons. Centrals wrapped up the latest first division grand final against Brothers in just under three days at Baxter Oval on Saturday. However, it was the respect between both captains that left a lasting impression after the Ipswich and West Moreton Cricket Association match. Victorious captain Wayne Jones was clapped from the field by his teammates, unsure he will continue playing after 26 seasons. His counterpart, Brothers skipper David Richardson, was also acknowledged with a guard of honour after announcing his retirement. Both have been wonderful servants of Ipswich cricket who play vastly different roles but share a common bond of leading from the front with outstanding team spirit. Both captains were emotional after the match, knowing what they had dedicated to their teams and to Ipswich. 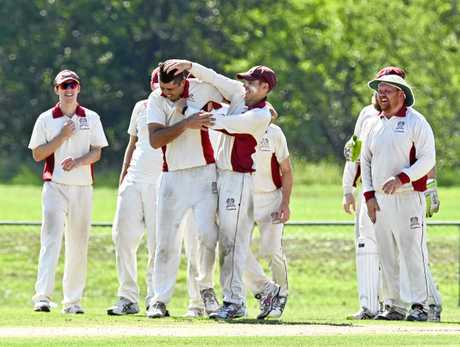 It was Jones' gesture to give Richardson a final send-off after Centrals won the game by 158 runs. "Richo is a great player over the history of Ipswich,'' Jones said. "He got 660 wickets so I'm proud I played with Richo. Richardson appreciated the guard of honour as he walked off Baxter Oval for the final time as a first division captain and acclaimed cricketer. "It was great,'' Richardson said. "I would have rather have walked off with a win but they (Centrals) played well. "I really appreciate that (the final farewell). Wayne and I have been playing together since we were 10 years old. Jones was delighted after the Kookaburras set Brothers 297 to win the game. Geoff Klease was the second innings destroyer with 4/60 off 18 overs. Fast bowling partner Rhys O'Sullivan finished with 3/14 off 11.2 accurate overs by trapping Chris Smith lbw on 24. "Brothers are a great batting side so we had to bowl well and our bowlers were on top all weekend,'' Jones said. Jones was confident Centrals would share in many more grand final victories. "I'm the only one over 30 so we've got a great nucleus of a side,'' he said. "Mattie Guest, Luke Barrett, Mick Abbott . . . the list can go on and on. They are all born leaders and they all want to lead that side so I'm proud to have led them for this little two-year period and the future is bright for Centrals. 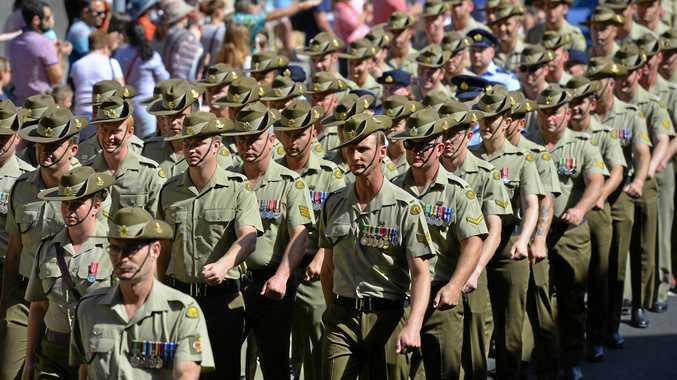 "They should be all keen to come back and do it all again next year . . . start a dynasty like Laidley had before this. "I expect us to be in and about the grand final every year for the next 10 years. Centrals captain Wayne Jones (right) and coach Scott Barrett with the spoils of grand final victory. Jones, 40, has scored more than 5800 runs. What some people may not know is that former Queensland Times printer Jones travels regularly from the Sunshine Coast to train and play for his beloved Ipswich club. The humble leader and cricket historian instead praised loyal Centrals coach Scott Barrett for his ongoing commitment. "He's one of the greatest coaches I've had,'' Jones said. "We talk tactics all the time. "He's got all these drills. "Our fielding is the best. Our bowling is the best as well. The 2018/19 grand final-winning Centrals 1st Grade team. Back row: (from left) coach Scott Barrett, Tim Weber, Sam Joseph, Michael Abbott, Geoff Klease, Rhys O'Sullivan, Ben Swinn, Cameron Osborne. Front row (from left): Charlton Utz, David Tyler, captain Wayne Jones, Matt Guest, Luke Barrett. 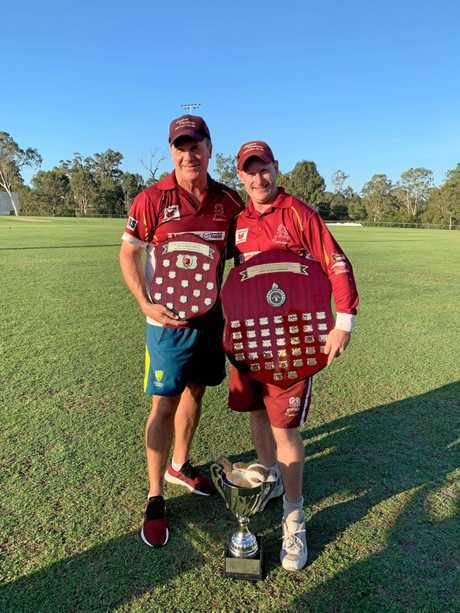 Jones was thrilled Centrals beat Brothers twice this year in addition to taming Laidley at Bichel Oval where wins are difficult to come by. As for his next season, Jones will consider his future in the off-season. "I've had a great career,'' Jones said, just like Richo. 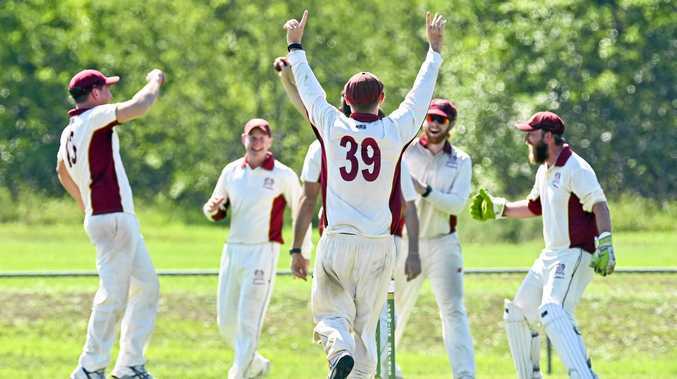 IWMCA first division grand final: Centrals 254 and 171 def Brothers 129 and 138 at Baxter Oval.